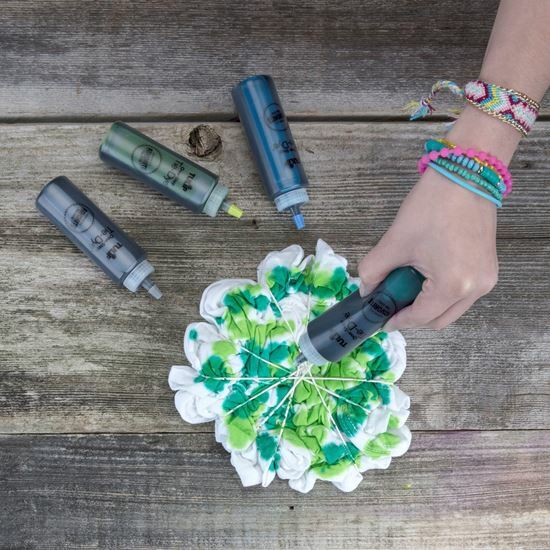 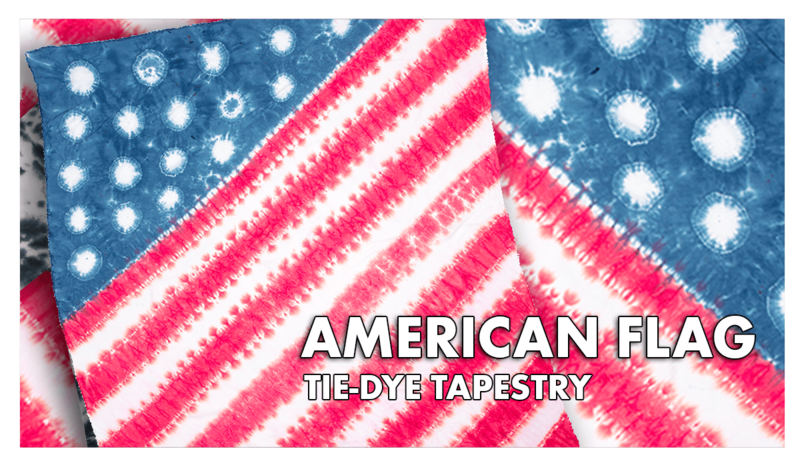 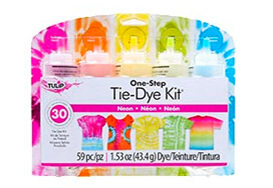 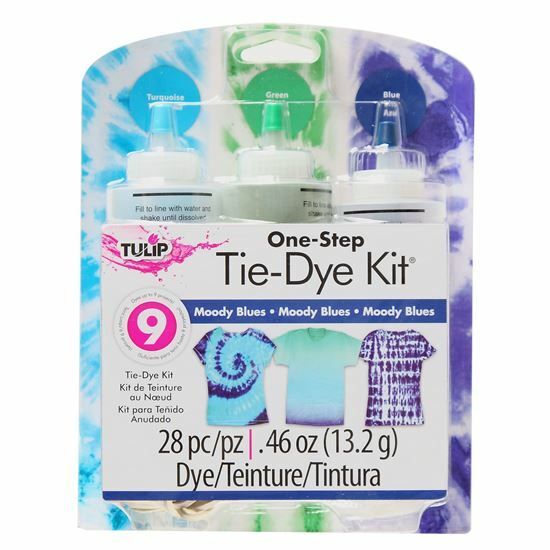 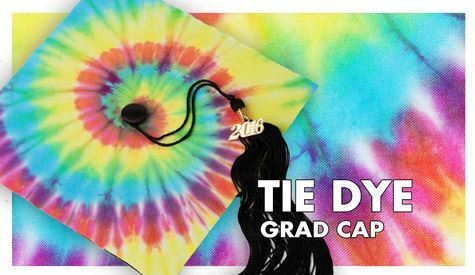 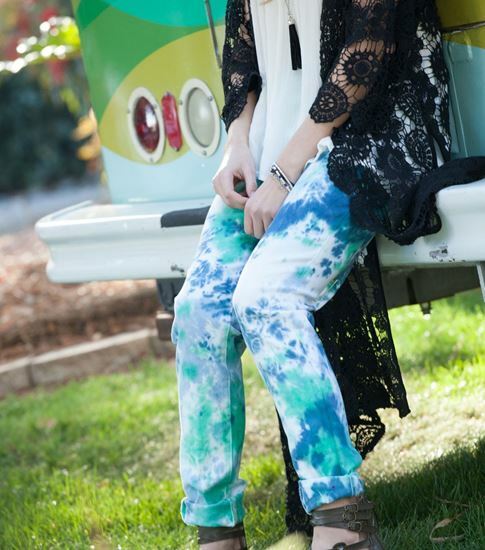 The Tulip One-Step Moody Blues Tie-Dye Kit is full of colorful fun! 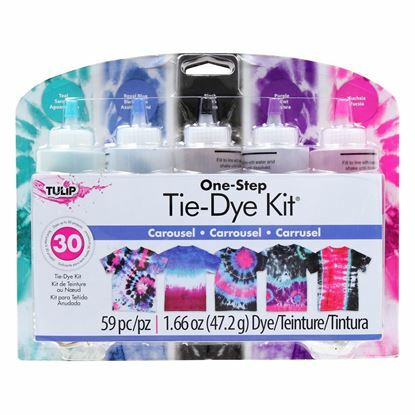 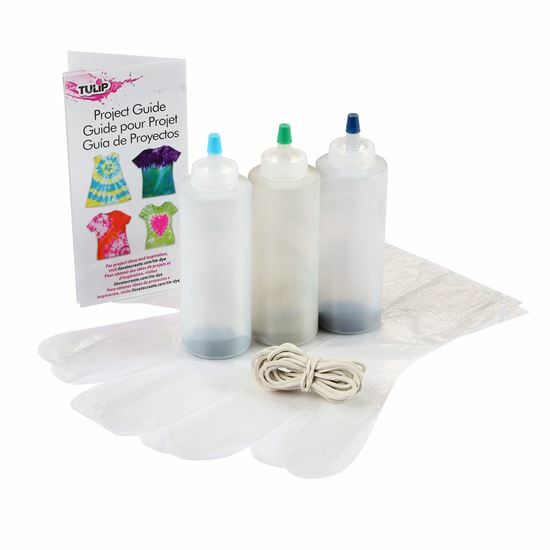 Stocked with 3 bottles of vibrant One-Step Dye, supplies and an inspiration guide, this kit is ready for your creativity. 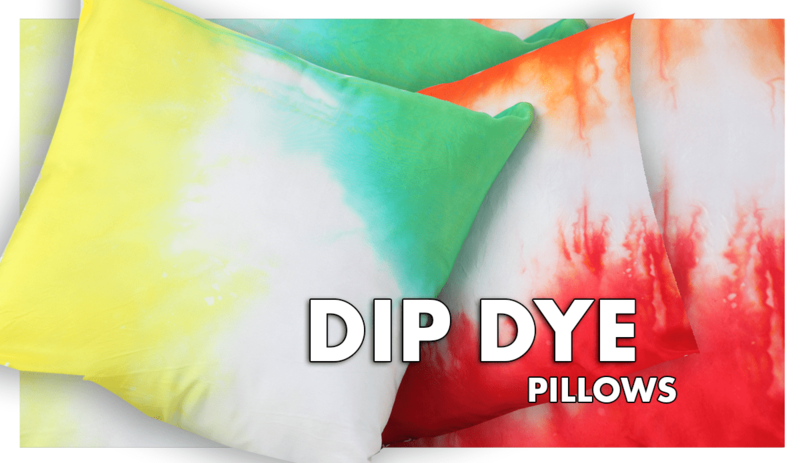 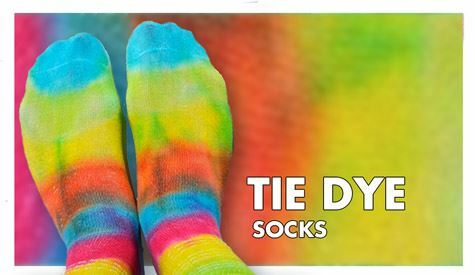 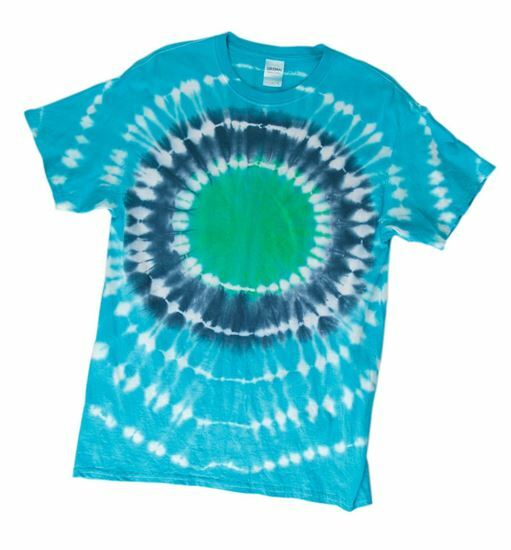 Who knew tie dyeing could be this easy? 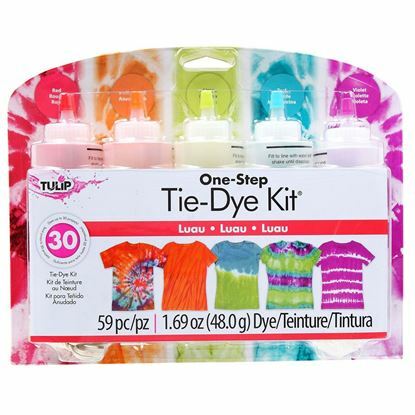 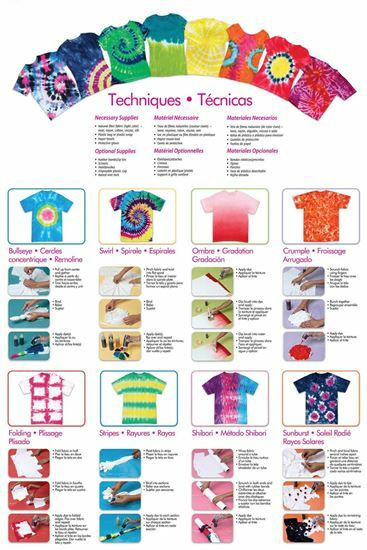 Tropical shades of red, orange, lime, teal and violet tie dye - just add water! 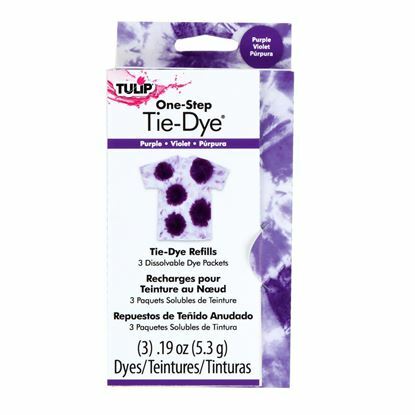 Contains 3 dissolvable packets of One-Step Dye (each packet makes 4-oz. 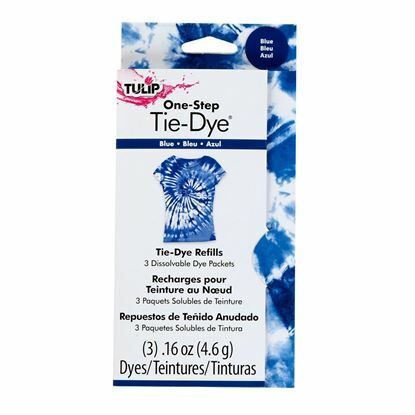 of dye).